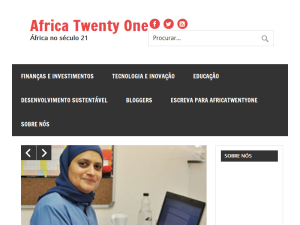 Africa21 is a new blog dedicated to African innovation, enterprise and sustainable development in the 21st century. Our editorial staff and review are a mix of voices from across Africa, Portugal and around the world to bring you insight and perspective on the most dynamic continent in the world. This what your Africa Twenty One Blog Ad will look like to visitors! Of course you will want to use keywords and ad targeting to get the most out of your ad campaign! So purchase an ad space today before there all gone!